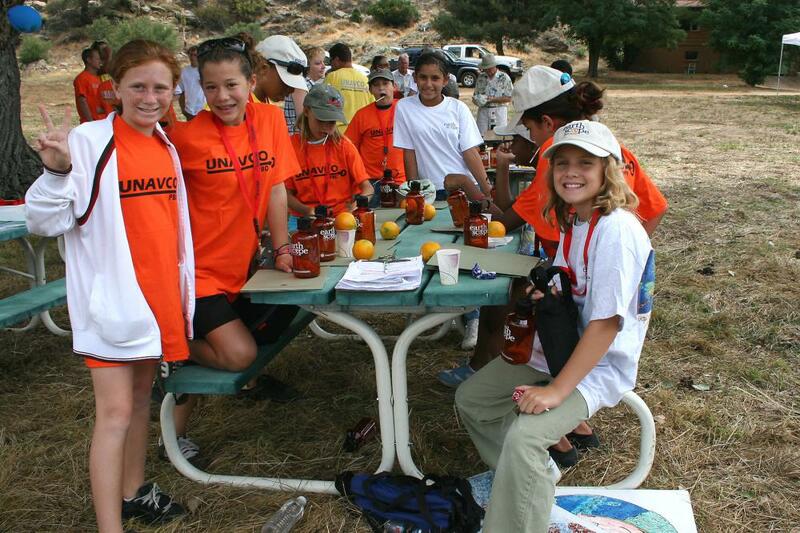 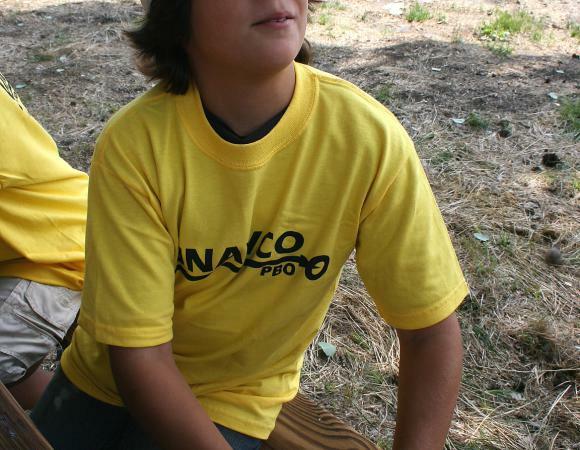 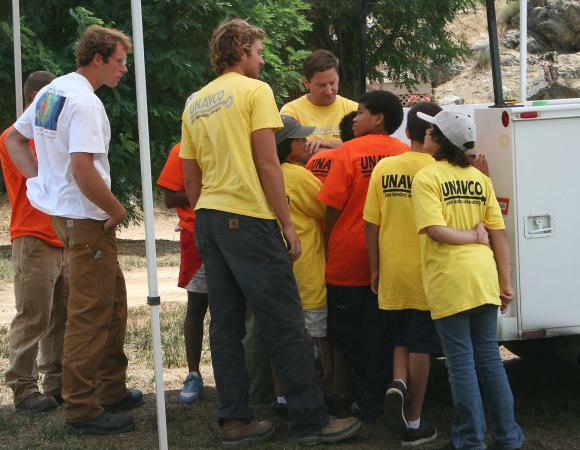 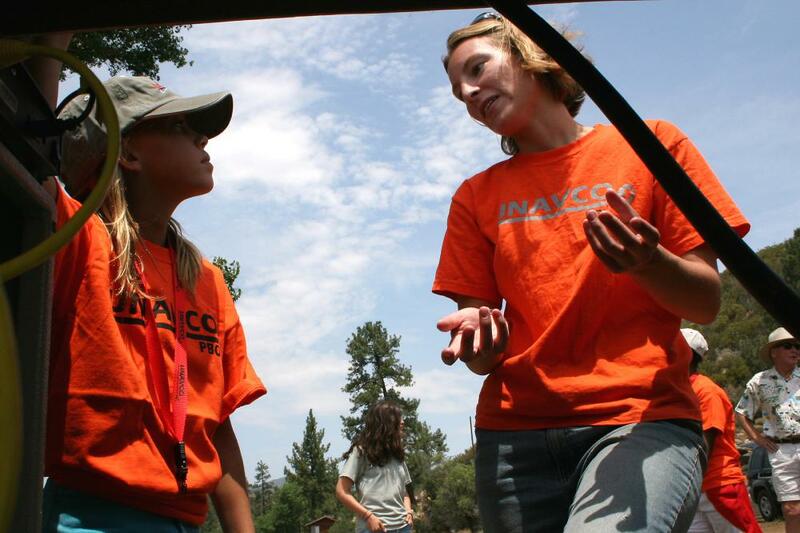 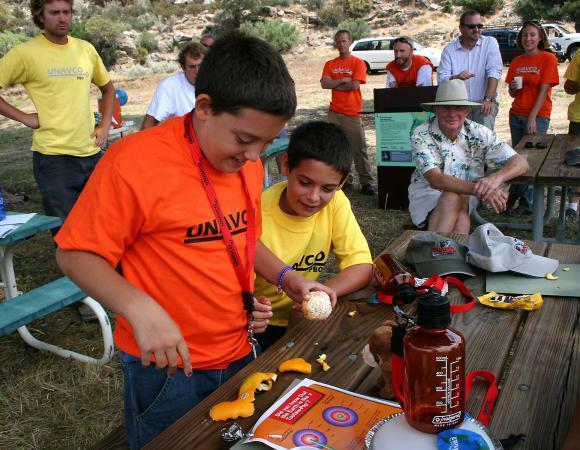 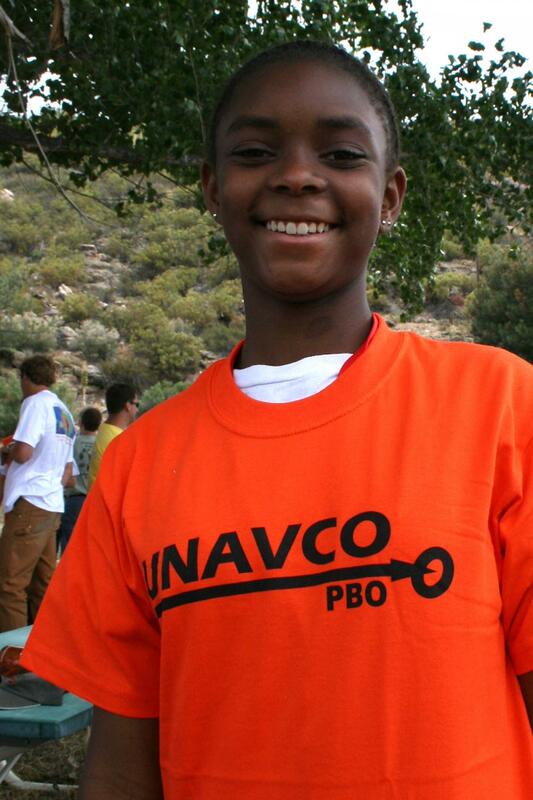 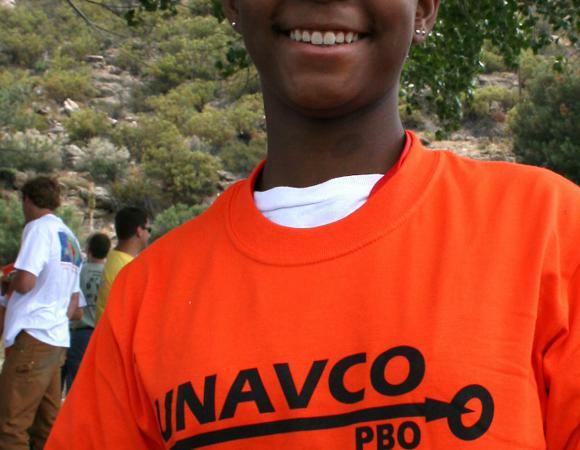 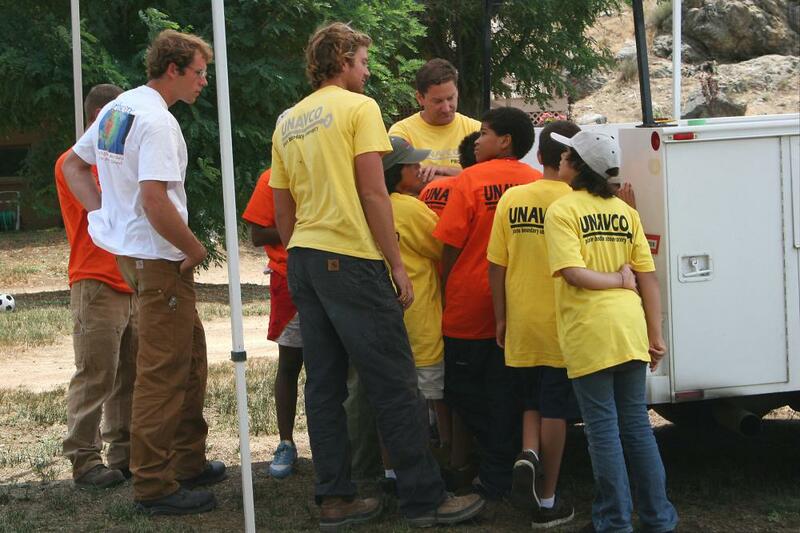 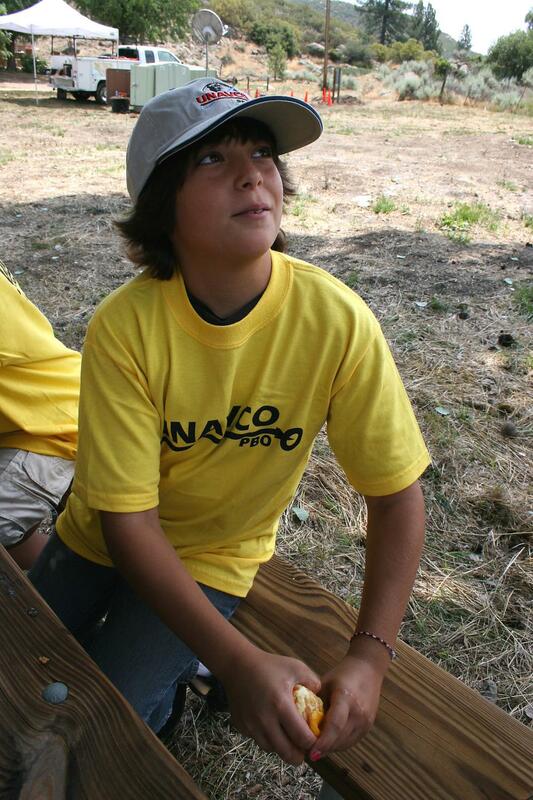 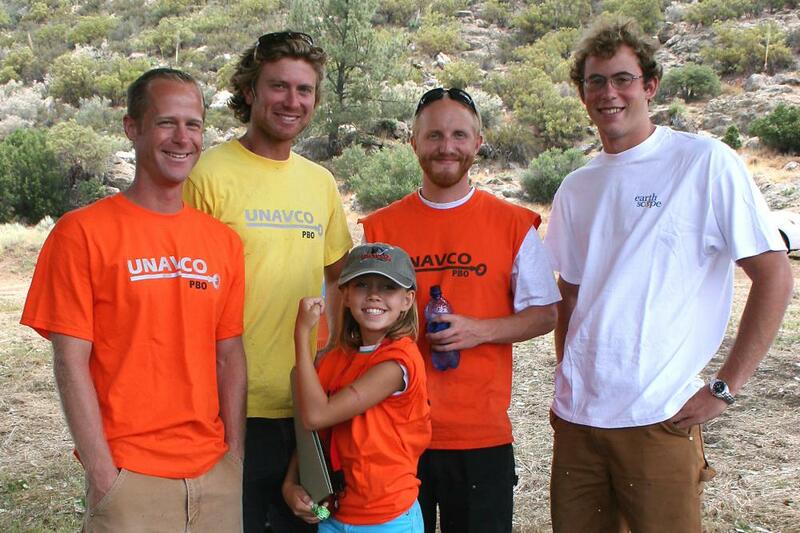 UNAVCO participated in an “Education Day” at the Pathfinder Ranch Science and Outdoor Education School in Mountain Center, California, on July 27, 2006. 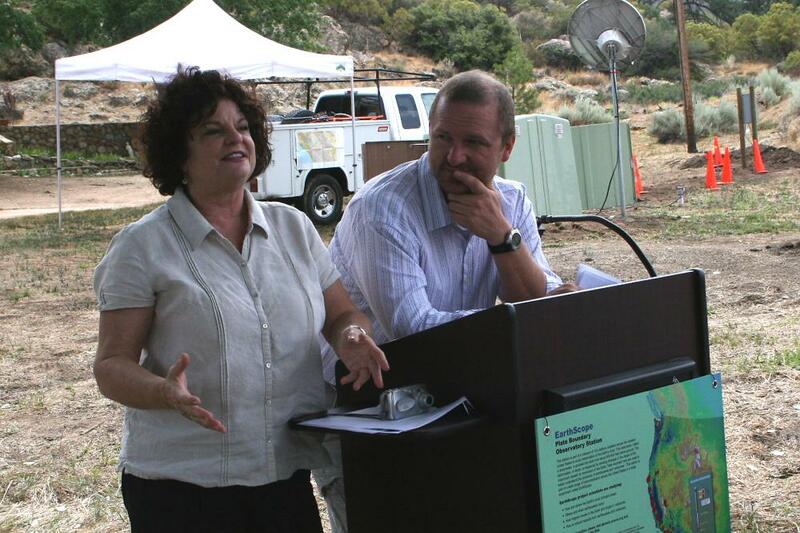 Pathfinder Ranch is hosting two of the eight EarthScope borehole strainmeters in the Anza region to study the area between the San Andreas Fault and the San Jacinto Fault. 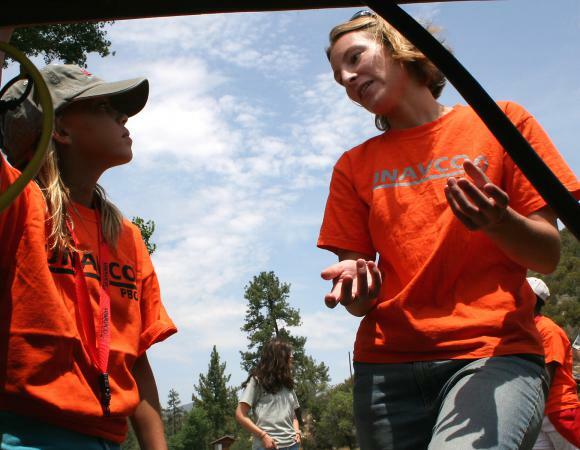 The event provided an opportunity for the Pathfinder Ranch to unveil the instruments and describe the important science behind the project to several of the school’s students, staff, and board members. 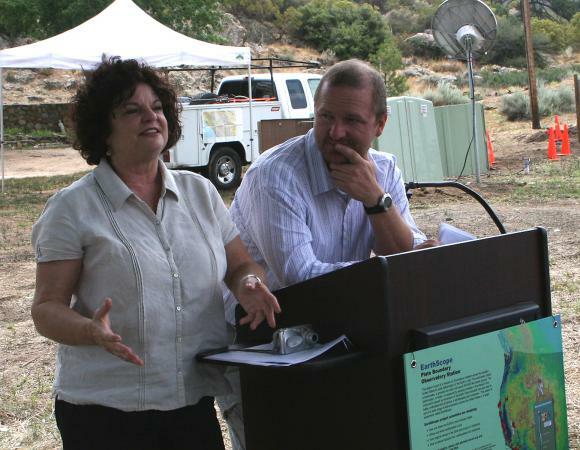 Members of the audience listened closely and asked questions as UNAVCO Senior Engineer David Mencin gave a presentation outlining the EarthScope project and what we hope to obtain from these strainmeters in the Anza area. 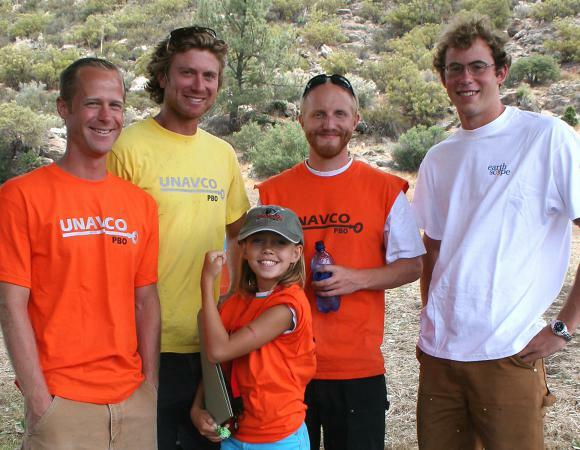 UNAVCO Field Engineer Sarah Venator gave a talk outlining the science behind why we chose their school’s backyard to host strainmeters and the major steps involved in installing a strainmeter. 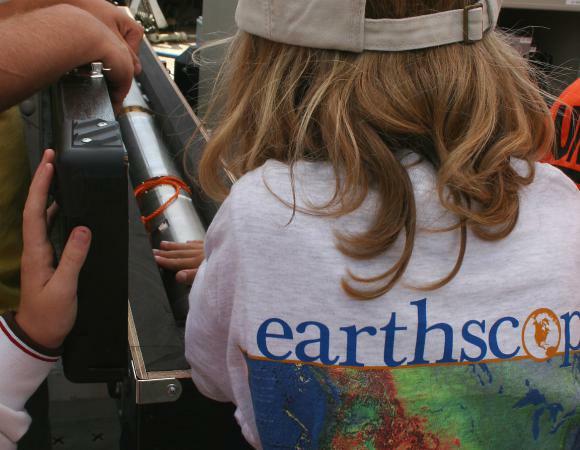 Sarah emphasized the exciting and rewarding aspects of studying geology and geophysics, encouraging the students to pursue Earth science careers. 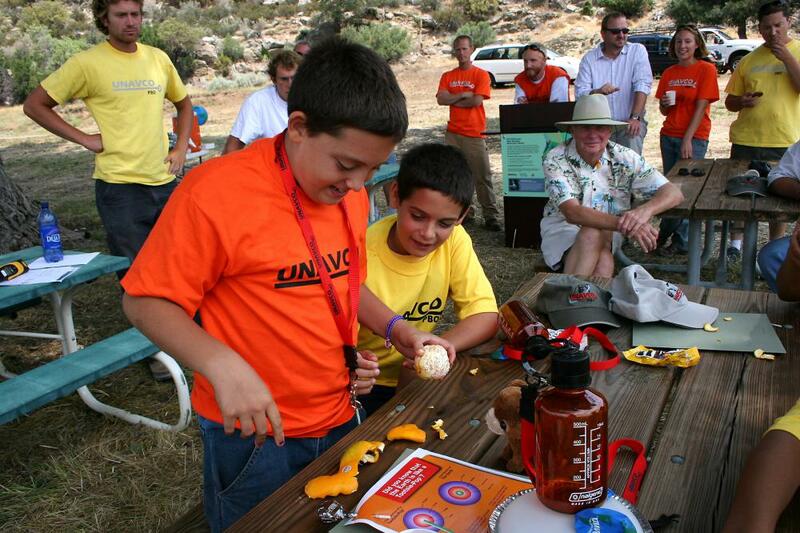 Hands-on activities for the students included using the rind of an orange to illustrate how plate tectonics fit around the earth and a real-time demonstration of how sensitive the instruments are to movement. 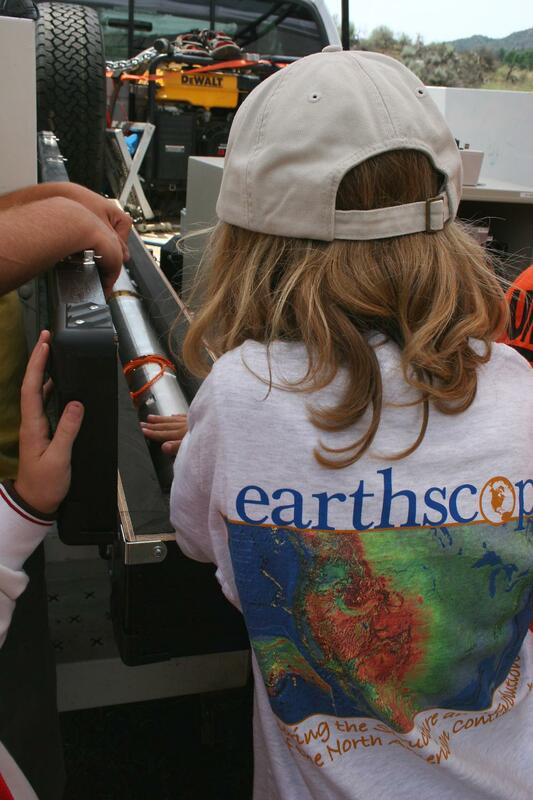 As the students jumped up and down near the monument they were able to see the real-time effects on the seismograph using a laptop connected to a seismometer that is installed above the strainmeter. 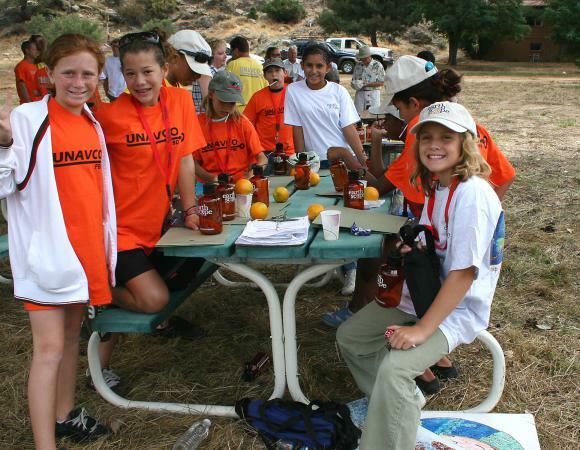 The two strainmeter monuments will be used as a teaching tool for several years as hundreds of students filter through Pathfinder school.